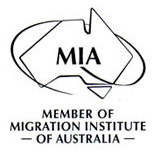 The Australian Government announced a major reform on 01 July 2012 to its General Skilled Migration (GSM) visa program and the way that Australia selects their skilled migrants. The new reform is known as Skills Select. The system gives the Government the tools to prioritise and rank prospective migrants in order of merit, selecting the ‘brightest and best’ migrants and/or candidates to fill labour market shortages. It also gives the Australian Government the tools to tweak the type of occupations most needed, curb those occupations where there are too many applications and manage the general mix of occupations accepted in each program year. The SkillSelect system gives the Department of Immigration and Citizenship more control over the size of the application pipeline for general skilled visas. This is likely to result in faster processing of applications once an invitation has been issued. Skilled Independent (Subclass 189) visa – this is a points-based visa for skilled workers who are not sponsored by an employer, a state or territory, or a family member. People holding this visa can live and work permanently anywhere in Australia. Skilled – Nominated (Subclass 190) visa – this is a point-based visa for skilled workers who are nominated by a state or territory employer. People holding this visa can live and work permanently anywhere in Australia, although visa holders must stay in the state or territory that nominated them for at least two years. Skilled – Nominated or Sponsored (Provisional) (Subclass 489) – this is a points-based visa for skilled workers who are nominated or sponsored by an eligible relative living in a designated area in Australia, or in some cases by a state or territory. People holding this visa can live and work temporarily for four years in a specified regional area. This visa can lead to permanent residence once the visa holder has met the visa conditions. If a visa application is not lodged within 60 days, the invitation lapses and it is quite possible that an applicant would not be invited to apply again. If invited twice but do not apply, the EOI will be removed from the system. Invitations are issued by the Department of Home Affairs on a monthly basis. A quota will apply for each occupational group. Once the quota is reached, no more invitations will be issued to people in that occupational group for the financial year. A minimum score will be published for each occupational group to give an indication of the points score required to receive an invitation. Processing of state nominated applicants is different to independent and family sponsored applicants. The information provided by the Department of Immigration and Citizenship indicates that an invitation will be “automatic” for state nominated applicants, providing the occupational ceiling has not been reached and the nomination is consistent with the relevant State Migration Plan. English tests, such as IELTS and OET, will be valid for 3 years from 1 July 2012. The above visa subclasses allow for relatives to be included after lodgement. It is important to understand that an EOI is not a visa application and will not result in a bridging visa in Australia. Furthermore, any claims made in an EOI which cannot be substantiated in a visa application, for example, English fluency, qualifications, work experience, will lead to a refusal of the visa application. Before submitting an EOI, an applicant must have obtained a favourable skill and appropriate English language assessment. They would need to have calculated before lodging an EOI that they meet the required points for the visa they intend to lodge. Once an EOI is submitted, the system will give a score based on claims made. A ranking will be calculated from the information provided using the points allocated on the GSM points test. Rankings cannot be seen as it changes continually. A pass mark will be set as the minimum score required for each visa. Equally EOIs are ranked according to dates of lodgement. Ranking is completed electronically with no intervention by case officers. Occupation ceilings will also be set to ensure visa categories are not dominated by a narrow range of occupations. They will limit how many people are selected from an occupation group.